Stable floors receive a significant amount of wear and tear through daily use. The damage caused by the chemical effects of a buildup of waste makes it difficult to keep your stable clean. Rubber mats help alleviate this, but waste can seep between the cracks, creating an unpleasant environment for both you and your horses. An ideal answer is a polyurea protective lining for the stable floor. The spray-applied performance coating can be put in place in a matter of hours, and provides a hygienic solution that will remain effective long into the future. Crucially, a polyurea coating creates a single continuous lining, with no cracks or gaps for dirt to build up in. UCL are a leading supplier of polyurea coatings in the UK. Our certified operators provide clients with an effective floor coating that make life easier for both owner and horses. Application is quick and easy. First, any existing mats or floor coverings are removed. Dirt and waste tend to penetrate through to stable floors even when a mat is in place, resulting in a buildup of stale urine and marks on the floor. We use a bleach solution to ensure the floor is sanitized before applying the protective coating. Once the solution has soaked in for an hour, it is cleaned off and the floor is dried. The coating of an average stable (with an area of 12’ by 12’) can be carried out in a single day by two of our operators. A polyurea coating creates a continuous protective lining that is free of cracks. That means that the kind of build up you would normally find on a stable floor has nowhere to hide. It’s also an effective insulation material: we apply the protective coating to a height of one metre up the stable walls, sealing the building from draughts. The result is a warmer, cleaner stable that can be cleaned with minimum difficulty. We use a HT100FUB polyurea coating, which can be quickly spray-applied. The qualities of this performance coating make it ideal for stable floors. It is watertight, effectively turning your stable into a wet room. That means that it can be cleaned easily, and you won’t have to deal with a harmful build up of waste residue. UCL can provide you with a tailor made solution (subject to site inspection) that will keep your stable in top condition for years to come. Our certified operators can help you decide on the ideal polyurea coating for your structure, and apply it quickly with a minimum of disruption. 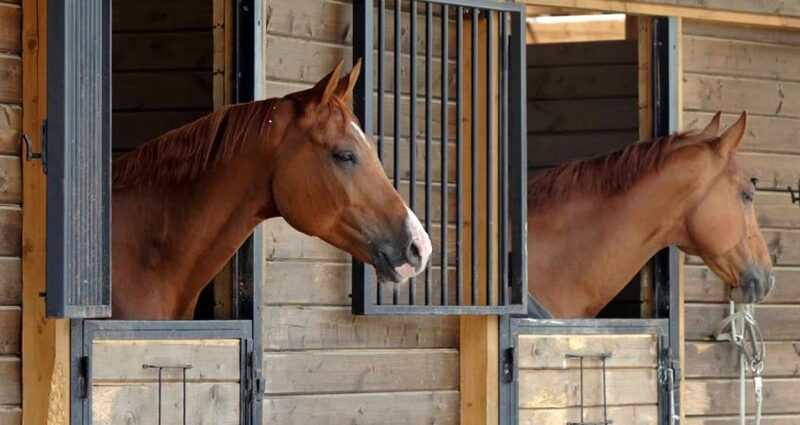 The end result will provide your horses with a hygienic, warm environment that is as easy as possible to clean, and will stay effective into the foreseeable future. Sounds interesting? Send us a message right now!